Detox foot pads may enhance the body’s natural detoxification processes to help counter-act the increased number of unnatural substances the body is put into contact with due to our modernized lifestyles. On this page you will learn about how foot detox pads work, why certain ingredients are so important, and what you can expect from using detox foot pads. Detoxification occurs within our bodies on a daily basis. However, our modern day lifestyles introduce a higher amount of unnatural substances into the body that may result in the body losing its ability to eliminate these poisonous toxins. More synthetic food processing, more stress, more pollution, all add up. Our bodies sometimes don’t know how to handle all the toxins, and aren’t able to get rid of them via the normal detoxification measures. Over a period of time these substances accumulate and will cause various debilitating and chronic conditions. The result is familiar: vague symptoms that are often overlooked, until more severe illness strikes. Symptoms such as frequent colds, feeling sluggish and tired, allergies, poor skin, coated tongue, bad breath, head pain and feeling ill after eating fats and other food may indicate an impairment in the body’s functional ability without any overt organ damage. Watch this video to show how to put the detox foot pads on your feet. sleep! The highly selected ingredients may pull impurities out of your system during the night. In the morning, you remove the pads from your feet and discard them. The pads are worn on the feet for a couple of reasons – the feet are considered in Oriental medicine to be the “second heart” – that is, they help pump return circulation of blood and lymph back up into the torso. With much of our time sedentary these days, this natural pumping action is inhibited and circulation tends to bog down around the feet, ankles and lower legs. swollen area. They tend to work best when applied over a blood-rich spot, like the extremities, including the hands, feet, backs of knees, temple, neck and spine. Overall lymphatic detoxing through the feet may easily take 30 days or more for the average person, longer if you are chronically ill. Most people use the pads on the arches of the feet to start with. The pads start becoming lighter in color as less “gooey” lymph is extracted. 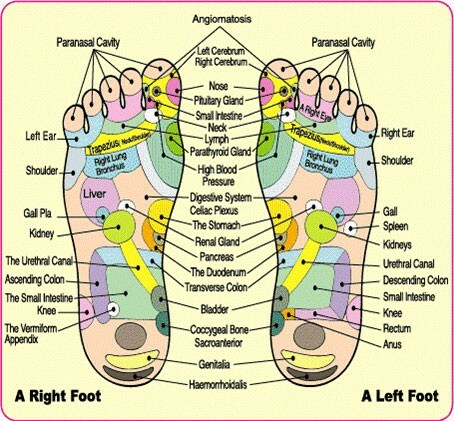 At that point, other areas of the feet can be addressed – the balls of the feet, the toes, the heel, even the ankle. Some will see results in a day or two, while others may take several weeks to sense something positive is happening. 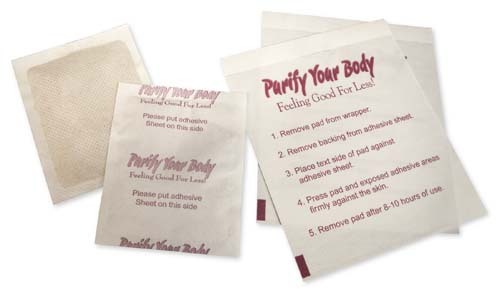 What if I don’t see anything in my detox foot pads? two before bedtime, while they are still moving around. toxicities that accumulate from stress. Q: Is the brownish “goo” in the morning a result of a reaction to my feet sweating? 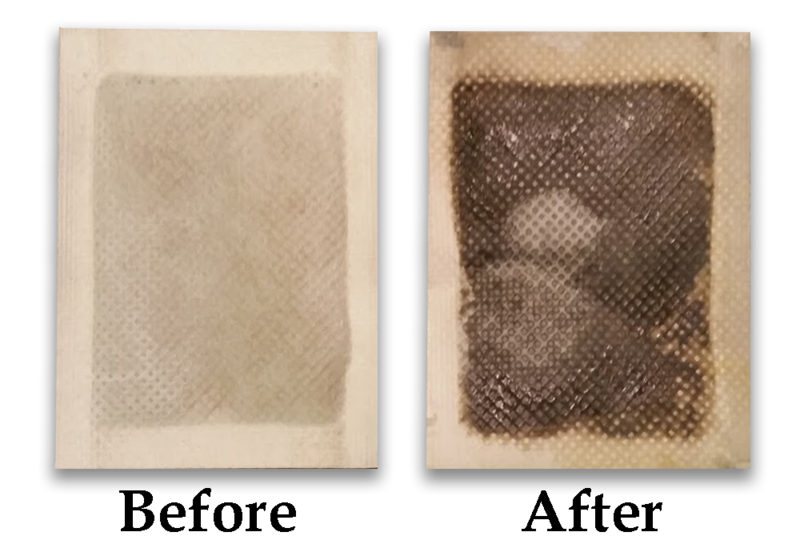 A: While the footpads turn dark if exposed to water (just like tea bags would) the “goo” you see is most likely toxic matter that has been leeched through your lymphatic system and out your feet. If you continue to use the foot pads until you are detoxed you will notice that they don’t come out gooey in the morning anymore. This dispels the fallacy that sweat is what is creating the results you see. You also can get them analyzed in an independent lab, and find out what toxins YOU have in your body! A: This depends on so many factors, including how often you are exposed to toxins (in your drinking water, food, the air you breathe, the chemicals you ingest, even your carpet may emit toxins!) On AVERAGE here in the US, I would have to say that a 2-3 month detox is normal per area of your foot. If you are sick or battling an illness or cancer, it could take more than a year of constant use! But even if you use the pads for only one month, you are doing a great service to your body and may be feeling more energy, better sleep, less illness. A: Through the process of osmosis (remember from high school biology?) It is the same process that allows trees to get their nutrients from the ground through their root system, but yet nourish the leaves on their farthest branches. It is this “tree sap” or wood vinegars, that allow this process to work. MONEY BACK GUARANTEE: Because I know my detox foot pads work, I offer a money back guarantee on these foot pads. If you place an order and don’t feel like they have worked like they should, you can return any UNOPENED 10-packs (they come in packs of 10) that is in re-sellable condition, and I will refund you the amount you returned, minus the shipping costs to you. I don’t ask questions, but you are welcome to tell me why they didn’t work for you. I do get returns, actually. Maybe one or two per year, out of the thousands that I ship out. Only once in 8 years was it something to do with the pads not working for someone. I offer a refund via check, paypal, or if it was within the past 60 days, directly to the card you used to purchase the foot pads. I want you to be happy, so I will do my best to see that you are satisfied.